Every year in October oilmen from Dallas, Ft. Worth & Houston visit with each other at Javier's (www.javiers.net) in Dallas, Texas. 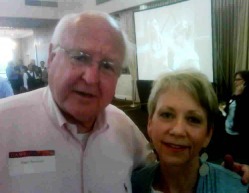 Charles H. Odom organized the popular annual event that has been held for over 20 years. It is hosted by various companies in the oil and gas business. Charlie brings up a group from Houston and Jessup Harper Dean, LLC helps out getting the DFW folk. The aim is to get CEO's, CFO's, COO's, etc. of significant O&G companies into one room with drinks, hors d'oeuvres and cigars to solve the world's problems as well as our own! Charlie is the former Vice President of Offshore Land and Business Development of Mariner Energy based in Houston, Texas. He joined Mariner in April 2009. 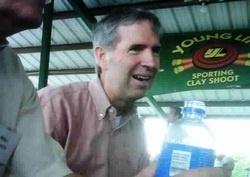 Prior to joining Mariner he was Vice President at Santos USA and was a principal of Gryphon Exploration Company from initiation to sale of the company in 2005. He also founded and was president of C.H. Odom Company, a management consulting firm specializing in strategic development and energy investment. Other experience includes Vice President of Contracts and Sales for Sandefer Offshore Company, and Land Manager for Challenger Minerals, a subsidiary of Global Marine; Transco, and Crown Central Petroleum. 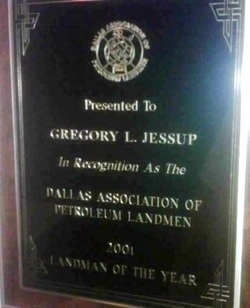 Mr. Odom graduated from the University of Texas at Austin with a bachelor’s degree in petroleum land management. The PECD meets at the Dallas Petroleum Club two Fridays each month at noon. Greg Jessup brought guests Mark Ingram, CPA, and Doug Logan, an Independent Landman based in Dallas, to listen to Marvin Gearhart at this lunch meeting. 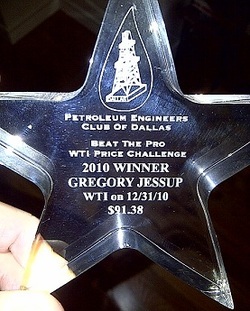 Dallas, TX: The PECD presented member Greg Jessup with its Annual “Beat the Pro” Award for winning its “West Texas Intermediate Oil Price Estimation Challenge”. Greg’s winning estimate was $91.50 per barrel. The published WTI Spot Price as listed in the WSJ on the last day of the year was $91.38; and closer to the Predicted EIA Base Case WTI Spot Price published in the Oct. E.I.A. 's monthly Short Term Energy Outlook. The Oct. STEO prediction was $79.33, which would have been the winning prediction on November 17th, however, WTI prices escalated $10 in 10 days in the final week of November. The trophy was presented to Greg by Steven G. Grape, Past President of the PECD and U.S. Domestic Reserves Project Manager, U.S. E.I.A., Office of Oil, Gas, and Coal Supply Statistics. 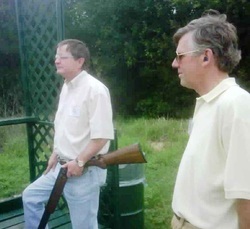 Greg Jessup, CPL and Mike Popejoy of TRT Holdings, enjoy the activities at the Young Life Clay Shoot. 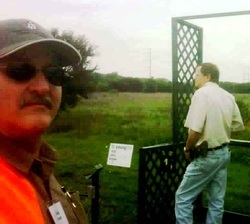 Below, Mike joins Bob Hitzelberger, Independent Oilman, as they prepare to kill some clay plates! The Oklahoma Independent Petroleum Association www.oipa.com hosted a golf tournament in a scramble format at the last year's Capital & Technology Conference in Tulsa, Oklahoma on October 30. The 2nd place team members were Greg Jessup, Greg McCain and Cliff McKaughan. Not pictured , Rand Phillips. 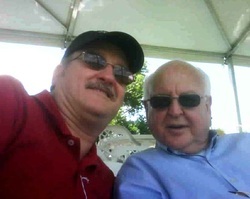 Roger Beecham Hosts Final 4 Party! The OCS Committee meets at the Department of Energy, Washington, D.C.
Greg & Dave love it!!! 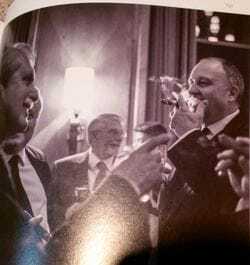 Greg Jessup and David Harper enjoyed high class boxing matches, sumptuous dining delicacies and top shelf libations at the Dallas Petroleum Club, Chase Bank Tower in Downtown Dallas, Texas. The cigars, blood, sweat and tears made it a night to remember! Ft. Worth & Dallas Associations of Petroleum Landmen Meet at Cowboy Stadium! The FWAPL & DAPL held their annual joint meeting at Jerry Jones Palace in Arlington. Jay Novacek, former Cowboy tight end, and the Dallas Cowboy Cheerleaders mingled about with the Metroplex landmen signing autographs and posing for pictures. Greg was able to slip in between these two veteran cheerleaders and get in the snapshot...what a sneaky dude! AAPL President, Rimmer Covington, gave a brief message regarding the state of the American Association of Professional Landmen and a delicious dinner was enjoyed by all attendees. 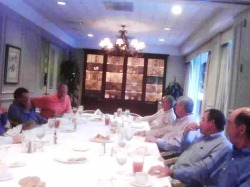 Brooks Yates of Ventex Oil & Gas had the thought a few years ago to host an informal lunch for fellow landmen in the DFW area at his home club in Highland Park, Texas, the Dallas Country Club. The get-together quickly opened its doors to other professions in the energy sector, i.e. geologists, geophysicists, engineers, financial, etc. So now, every month, the group congregates to "cuss and discuss" the state of the industry and their individual endeavours. Thanks Mr. Yates for a timely and very useful idea! Ryan Osborne, a Dallas oil & gas and real estate investor, talks with Greg Jessup about possible investment opportunities in Larson Energy's Anadarko Basin drilling program. Ryan is a successful high end home builder in Highland Park.